What does zero residue carpet cleaning mean? The first question really should be; Is there really any such thing as residue free carpet cleaning. The answer is...Not really 100%. Zero is zero. Not 99.9. Saying zero residue is much better marketing than saying 99.9% residue free or very very low residue. But the truth is there is no zero residue just very very low residue carpet cleaning. The one exception would be if we were cleaning clean carpets with only purfied water then it might be 100%. The fact is that we don't get called to clean already clean carpets. No matter what system you use unless you are cleaning with purified water only, there is going to be some residue. If you are cleaning with purified water only then the carpets most likely will not come very clean. So, what about the companies that claim zerorez? Do they work? Is it a scam? Yes, I believe they do a fine job of cleaning carpets. The cleaning they do is not a scam and they really do have a process that creates "empowered water." The bigger question is; does their "empowered water actually clean better and leave less residue than a high quality carpet cleaner that uses the van mount hot water cleaning system? The truthful answer is, no they do not clean better and possibly they might leave less residue. According to the developers of "empowered water" EAU Technologies, website, "Empowered Water leaves little if any chemical residue"
In ther website they are speaking in general terms not specifically about cleaning carpet fibers. If you were cleaning a glass surface with "empowered water", it would be much easier to get to 100% residue free cleaning. However we are talking about cleaning carpet fibers which by thier very structure are many times harder to rinse out than glass. So, are companies claiming zero residue rally leaving carpets 100% residue free? Not really. Does the van mount "steam" cleaner leave enough residue to attract soil or create other problems? No, a knowledgeable and experienced carpet cleaner using the van mount steam cleaning system like Power Clean Carpet Cleaning does in Anchorage Alaska rinses out the carpets well enough that there is a very very low amount of residue left in the carpets. The very process of our system is to flush out the soil, stains and residue from the carpets. It is true that we spray down a pre-spray to emulsify oils and to break the bond between the soil and the carpet fibers and we take care to flush the pre-spray along with the soil and stains from the carpets. Here are my concerns with the Zero Reside companies marketing. If they were to just stick with saying zero residue I could live with this and just call it a good marketing angle. The problem is that they don't stop there. They go on to say that everybody else leaves harmful toxic residue in the carpets. Every time some company uses scare tactics marketing to scare you away from their competition by misstating the facts I have to wonder about the integrity of that company as a whole. The other problem is they make claims that are obviously not true such as their "empowered water" will kill all of the mold that might be in your carpets. Studies do suggest that the "empowered water" will kill mold but I know after 41 years of cleaning carpets that mold is a problem that is deep in the carpet, the padding and even the subfloor. There is no way that simply cleaning your carpets is going to kill the mold in the backing the padding and the subfloor. To do this they would need to pull up the carpet and clean the padding and the floor itself. The accepted process for mold remediation is to replace any padding and tack strips that might have mold on them. Also, after treating any moldy surfaces with with a proven mold killing solution, sealing the area with a high quality sealant. There are proven solutions that kill mold that I would trust much more than "empowered water". So what is the difference between van mounted "steam" cleaning and "empowered water" cleaning? Do they leave less residue? Not enough to make any real difference. Are they more exspensive? Generally they are because they have to pay for the special "empowered water" and all of their advertising. 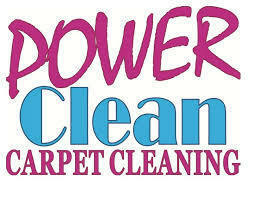 How does Power Clean Carpet Cleaning clean carpets in Anchorage? We use the van mount Steam cleaning method simply because it is the best system for flushing the soil and stains from all kinds of carpets. 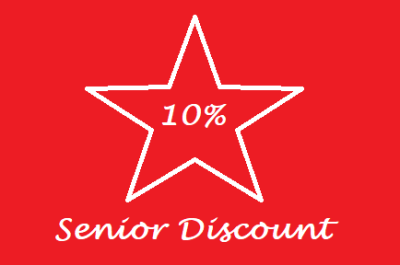 We make sure that we leave the carpets very very low residue and we make sure they are as dry as possible. We also charge less money.